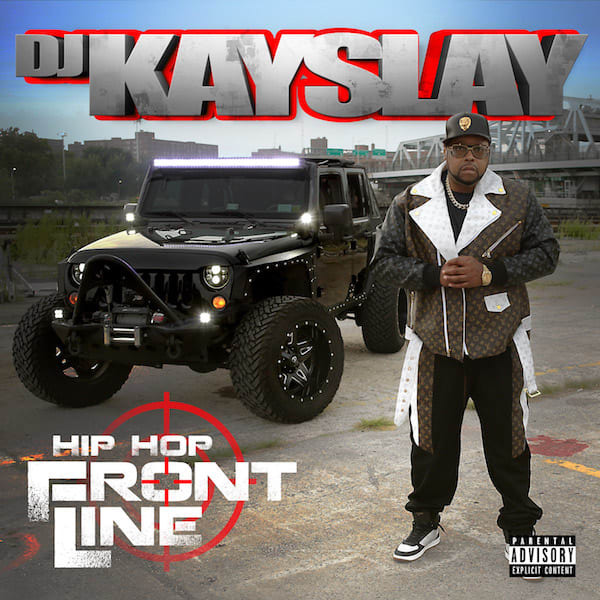 Home / ALBUMS / DJ Kay Slay / Album: DJ Kay Slay "Hip Hop Frontline"
Album: DJ Kay Slay "Hip Hop Frontline"
You can always count on DJ Kay Slay to deliver unadulterated hip hop. The veteran Harlem DJ puts on for the streets with his fifth studio album Hip Hop Frontline. The 16-track effort features contributions from heavy-hitters including The Lox, Busta Rhymes, Lil Wayne, Uncle Murda, Trick Trick, Papoose, Tony Yayo, Bun B, Trae Tha Truth, Saigon, Young Buck, Raekwon, Cee-Lo Green, Kevin Gates and more.